Like a red diamond, Opels are rare in the U.S., hidden from view under Saturn badges (and today as Buicks). 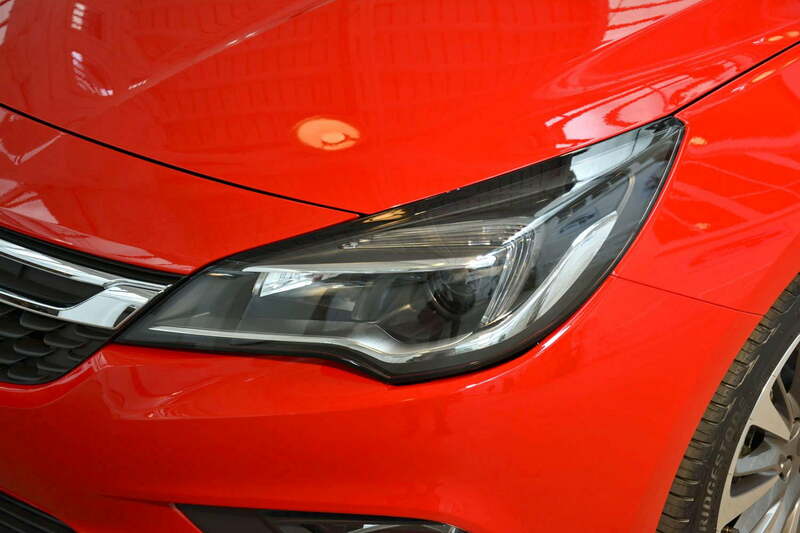 In Europe they’re as common as cats, however, and the all-new 2016 Opel Astra may make them even more so. The car isn’t scheduled to make its public debut until the biennial Frankfurt Motor Show that will open its doors next month, but Digital Trends recently got an exclusive look at it at an event held in Paris, France. The Astra and its predecessor, the Kadett, have been the backbone of the Opel brand for decades, and the new model is a monumentally important car for the General Motors-owned automaker. 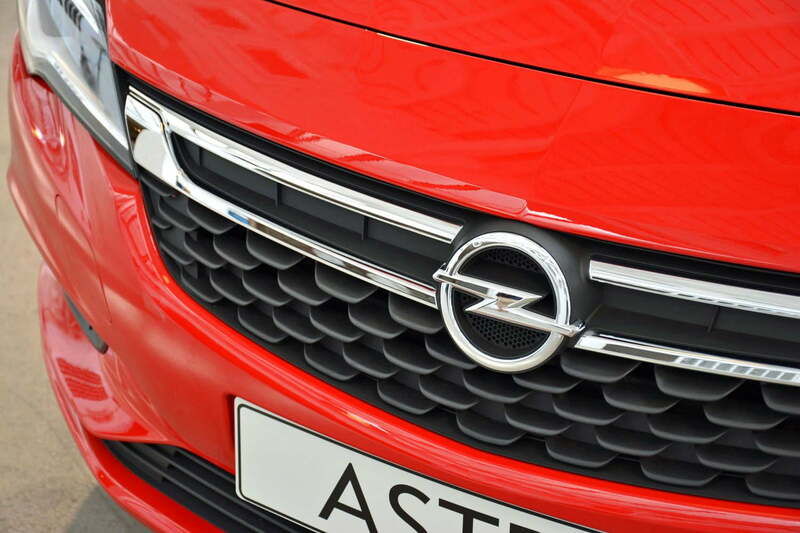 The mission statement given to engineers and designers was simple: the new Astra needs to put Opel back on top of Europe’s lucrative compact segment. In Europe, the Astra primarily squares off against family hatchbacks like the Volkswagen Golf, the Ford Focus, the Renault Mégane, and the Peugeot 308. Engineers drove all four cars back-to-back and chose to benchmark the Astra against the one they felt was the most dynamic to drive. As it turns out, that honor went to one wearing a blue oval emblem. The new Opel Astra rides on the same platform as the 2016 Chevrolet Volt and the Cruze. The last Astra was built on the same basic mechanical structure as the Zafira people-mover, so it was heavy, numb to drive, and not very fuel efficient — and Opel is well aware of those facts. Consequently, the new Astra shares its structure (called D2XX in General Motors-speak) with both the 2016 Chevrolet Cruze and the Volt. 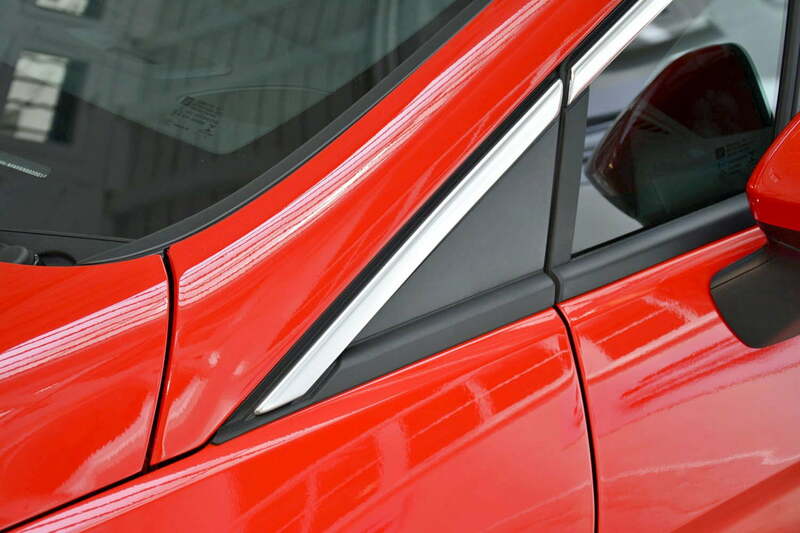 The structure is highly modular and, as a result, engineers were able to make the hatchback nearly two inches shorter than the last-gen model. Switching to the D2XX structure also helped Opel give the hatchback a much-improved 60/40 front/rear weight distribution while shaving a total of 440 pounds. That’s a lot of weight for a car that tips the scale at about 2,800 pounds. Uwe Mueller, the designer in charge of drawing the Astra, told me that he gave his team five main tasks. 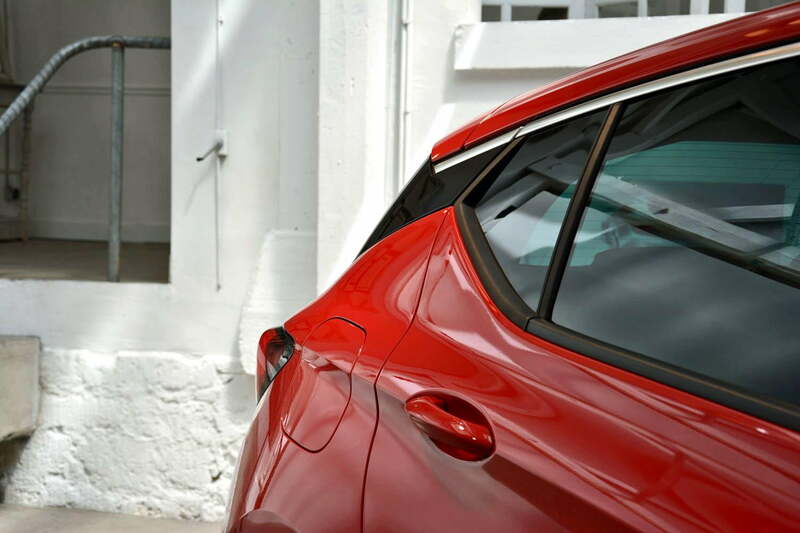 The new model is instantly recognizable both as a member of the Opel family and as an Astra, but its design is markedly sharper and characterized by a wider grille that stretches into the headlights, more sculpted side panels, and a blacked-out C-pillar that creates the illusion of a floating roof. A station wagon version of the Astra is all but confirmed, and I wouldn’t be surprised to see it in the metal next year at the Geneva Motor Show. 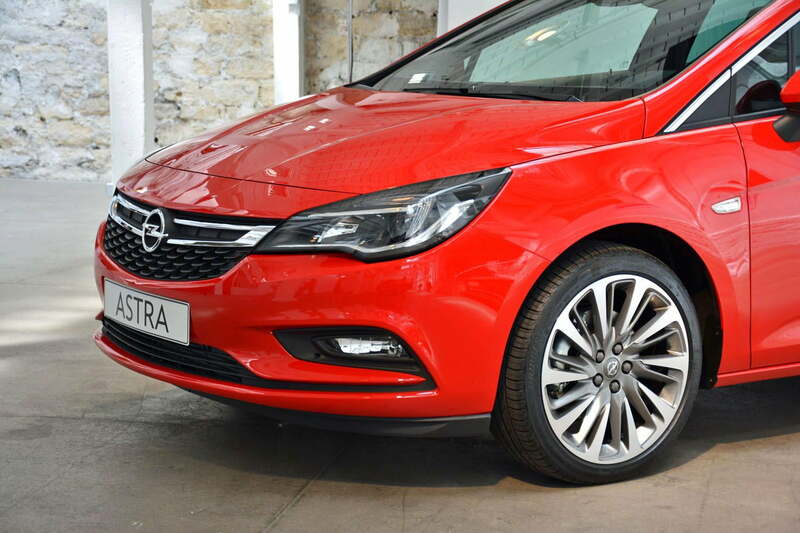 But the future looks a lot dimmer for the sleek three-door Astra GTC. The current model will be re-christened as the GTC and it will soldier on for a few more months, but Opel confirmed that a replacement will never see the light of day. “Of course building a three-door Astra is possible, but it’s difficult for us to make a favorable business case for such a model right now. The three-door market is declining, there isn’t enough demand. It won’t happen,” explained Horst Bormann, the engineer in charge of the team that developed the new Astra. The center console in the outgoing Astra was often criticized for feeling like it had more buttons than the cockpit of an Airbus A380. Muller asked his team to drastically reduce the number of buttons, switches, and knobs in order to give the new model a more streamlined and user-friendly dashboard. The bulk of the switchgear is now divided into three clusters. 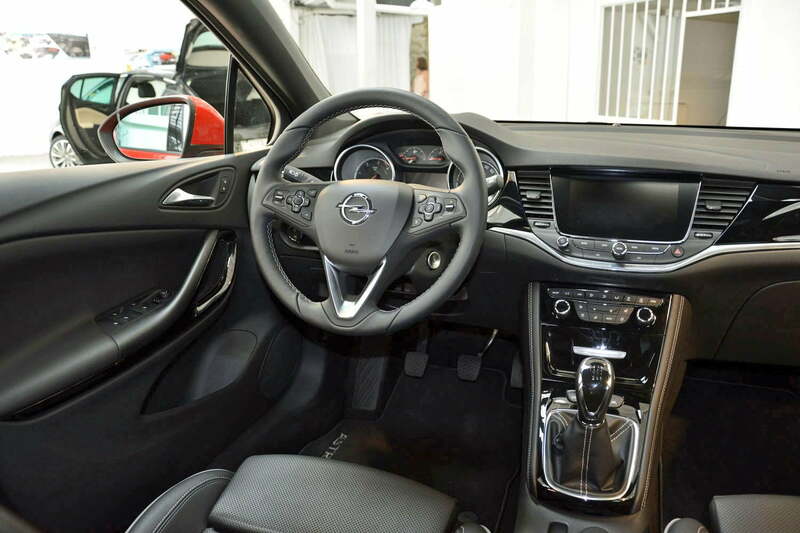 The entertainment, navigation, and connectivity functions are accessed via a large, high-resolution touch screen that runs the latest generation of Opel’s IntelliLink infotainment system. Climate control buttons are neatly grouped right below the screen, and all driving-related buttons (such as the ones that turn on the optional sport mode and the various electronic driving aids) have been re-located in front of the shifter. As a result, you feel instantly at home as soon as you sit in the driver’s seat, and you can easily enter an address into the navigation system without having to ask your passenger to whip out the owner’s manual. The Astra ushers in the European version of OnStar, a service that has been available in the United States for nearly 20 years, and – just like many GM cars sold on our shores – you can add a 4G LTE Wi-Fi hotspot. Additionally, it’s one of the first cars in Europe that’s compatible with both Android Auto and Apple CarPlay. At launch, the Astra will be available with a turbocharged 1.0-liter three-cylinder engine that makes 105 horsepower at 5,500 rpm and 125 foot-pounds of torque from 1,800 to 4,250 rpm. That might not sound like a lot of grunt in the days of 278-horsepower Honda Accords, but it’s par for the course for a relatively small car whose main market is Europe. Like the Corsa and the Adam, the triple comes standard with a five-speed manual transmission that spins the front wheels, and it can be ordered with a five-speed semi-automatic unit as an option. A hybrid isn’t in the works, but the Astra will spawn Opel’s first all-electric vehicle. Buyers after more grunt can step up to a new 1.4-liter EcoTec four-banger available with either 125 or 150 horsepower. Essentially an evolution of the aforementioned triple fitted with an extra cylinder, the turbo four is exclusively linked to a six-speed manual transmission. Sales figures show that a majority of buyers in Europe are after a frugal turbo-diesel engine. Opel delivers with 1.6-liter four-cylinder offered with 95, 110, or 136 horsepower. All engines ship with a manual transmission, and customers who opt for the bigger unit can go clutch-less at an extra cost. The efficiency champ of the lineup is the 110-horsepower oil-burner, which returns 56 mpg in a mixed European cycle. At the other end of the spectrum, the 150-horsepower EcoTec allows the Astra to perform the benchmark zero-to-100-kilometers per hour (about 62 mph) sprint in 8.5 seconds, making it the fastest member of the family. However, Bormann proudly pointed out that a twin-turbocharged engine will round out the lineup in the not-too-distant future, and that the front axle can be fitted with GM’s oft-lauded HiPer Strut suspension, an innovation designed to improve handling. A gasoline-electric hybrid model isn’t in the works, but Bormann revealed that the platform will eventually spawn Opel’s first all-electric vehicle. Details about it are virtually non-existent because it’s still at the embryonic stage of development, but the engineer confirmed that it will replace the Volt-based Ampera hybrid in the Opel lineup. Coming soon to a dealer near you? On paper, the new Opel Astra comes off as a major improvement over its predecessor because it successfully blends European driving dynamics with a full suite of in-car tech gleaned from Chevrolet and Buick. It can certainly talk the talk, but it will be interesting to see if it can walk the walk when it begins to arrive on dealer lots across Europe this fall. The Astra will not be sold in the United States, at least not as a hatchback and not with an Opel emblem on the grille. However, it will spawn the next generation of the Buick Verano that’s expected to arrive in time for the 2017 model year, and the turbocharged 1.4-liter EcoTec will power more than a handful GM model in North America.